It doesn’t matter whether it’s the opening week, the All-Star Break, play-offs or Finals, our writers will guide you through the basketball season with previews, slam-dunk tips and accumulators from the world’s biggest and best league. 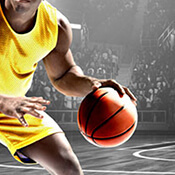 BetStars has a range of NBA basketball betting markets available, plus we have odds on many of Europe’s major leagues. The NBA play-offs are starting to take shape after Portland, Toronto and Philadelphia all booked their spots in the second round on Tuesday night. A buzzer-beating three-pointer from Damian Lillard gave the Trail Blazers a 118-115 victory over Oklahoma City Thunder, while Kawhi Leonard top-scored with 27 points as the Raptors beat the Orlando Magic 115-96 for a 4-1 series win. Can Harden fire Rockets to NBA glory?